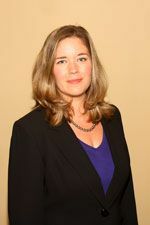 Lisa Barrett is responsible for the organization and coordination of office operations, procedures and resources in order to ensure organizational effectiveness and efficiency. She has worked in the medical field for the past 17 years, including 15 years in the hearing industry. Her incredible work ethic and attention to detail has made her an invaluable part of the Sound Advice team. She is a member of IHS (International Hearing Society), and has received continuing education through IHS and AHAA (American Hearing Aid Associates).